For the 18th straight year, Carolina has been ranked fifth among the nation’s best public universities by U.S. News & World Report — but this time it’s in a tie for that spot. The University of California at Santa Barbara — the alma mater of UNC Chancellor Carol L. Folt, where she earned her bachelor’s and master’s degrees — moved up three spots in the rankings of national public universities to join Carolina at fifth place. 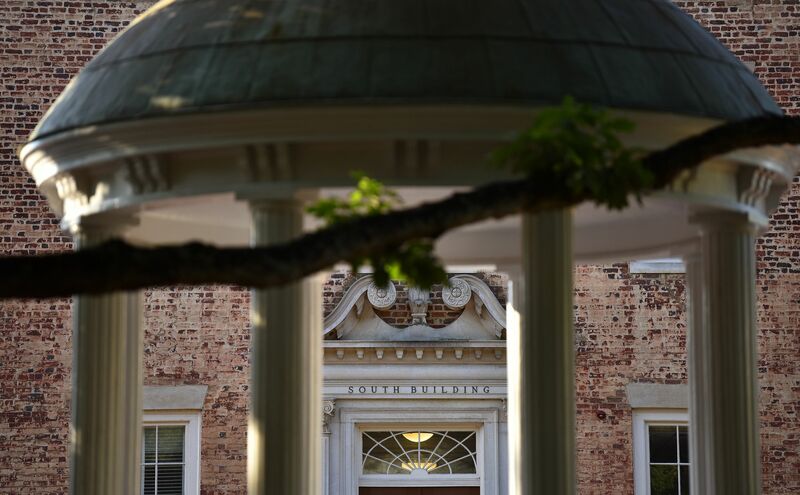 Carolina also shared the 30th overall ranking among national universities — again, its same spot as last year — with UC Santa Barbara (which moved up seven places) and New York University, a private school, in the annual “Best Colleges” rankings released Monday. For a while now,U.S. News’ ranks of the top five national public universities has been a grouping of the same schools, and the other four are at the top again: UCLA (19th overall) is in first place this year, displacing the University of California at Berkeley (22nd overall) to second, followed by Virginia (25th overall) and Michigan (27th overall) in the same spots they held last year. Carolina also tied with UCSB and NYU in another category, “Best Colleges for Veterans,” at 10th overall and fourth among public schools. U.S. News bases its rankings on several weighted key measures of quality: graduation and retention rates (22 percent); assessment of academic quality by presidents, provosts, deans of admissions and high school counselors (20 percent); faculty resources (20 percent); student excellence (10 percent); financial resources (10 percent); graduation rate performance, which is the difference between the actual six-year graduation rate and U.S. News’ predicted rates (8 percent); alumni giving (5 percent); and social mobility (5 percent). For the 14th straight time, UNC placed first among national public universities and eighth overall in the category “Best Value Schools.” The value ranking is based on U.S. News’ academic rankings and the 2017-18 net cost of attendance for a student receiving the average level of need-based financial aid. For UNC, U.S. News put that net cost at $17,377. UNC was ranked 40th overall among national universities for least student debt, with 41 percent of seniors receiving need-based aid and an average graduating debt of $22,214. UNC makes need-blind admissions and meets 100 percent of the documented need of undergraduates qualifying for need-based aid who apply on time. UNC meets more than two-thirds of that need with grants and scholarships. Kiplinger’s Personal Finance magazine has ranked Carolina first 17 times in a row among U.S. public colleges and universities offering stellar academics at a reasonable price. For the 13th consecutive year, Carolina received a record number of applicants, with 43,384 applying for fall 2018 admission, up 6 percent from last year. It has a 97 percent average first-year retention rate for the 10th consecutive year and a 91 percent average six-year graduation rate, 2 percentage points better than U.S. News’ prediction. It is in a nine-way tie for 34th place in“Best Undergraduate Teaching,”based on a peer-assessment survey, along with Brandeis, Columbia, Harvard, Howard, Pepperdine, Central Florida, Georgia and Washington in St. Louis. Only 13 percent of 2017 course sections enrolled 50 or more students; 38 percent had fewer than 20 students. It is tied for third among public universities, along with Georgia Tech, UCLA and Michigan, and in a nine-way tie for 23nd overall in high school counselors’ top picks. It is tied for eighth overall and tied for fourth among publics with the University of Virginia for best undergraduate business programs. For specialty areas, Kenan-Flagler Business School tied for fourth in entrepreneurship, is fourth for management and fifth for marketing in listings based on programs nominated by business school deans and faculty members that received the most mentions in a 2018 survey.